Listener was started with Round robin policy to distribute the Oracle client processes to different cells. 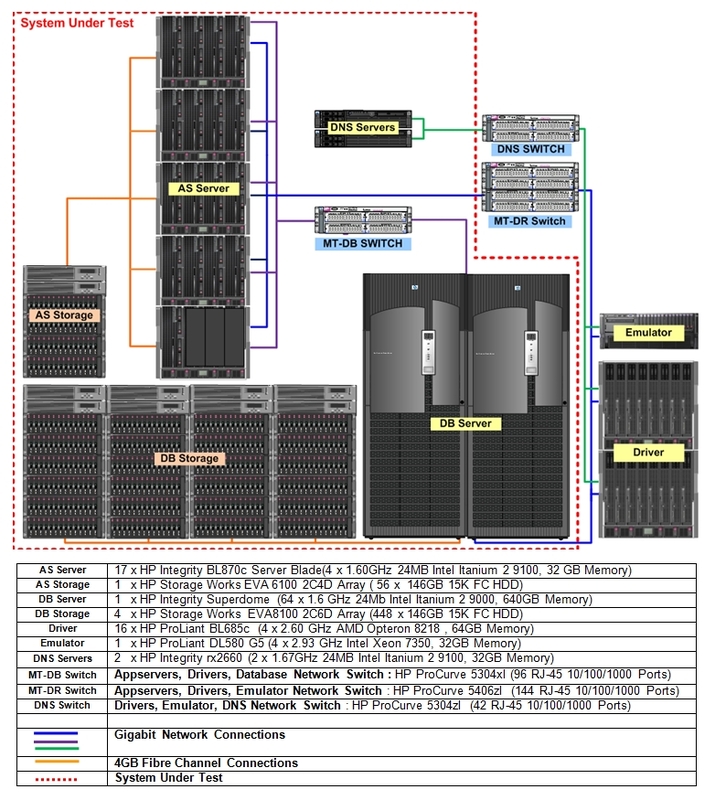 EVA 6100 Storage Array, for server and JMS logging. horizontally partitioned. M_PARTS, M_BOM, M_INVENTORY, and O_ITEM were hash clustered. This extrapolates to 944GB of storage for a 24 hour run. packaged with Oracle Weblogic Server Standard Edition. with DNS servers running on the DNS load balancer hardware.